Sports and Disasters: When should you put loyalty aside? This Sunday, my beloved Philadelphia Eagles play the Denver Broncos. And believe it not, that has created somewhat of a quandary for me. Normally, it’s a no-brainer as to where my loyalties would lie. I’m a lifelong Eagles fan. (It took years of therapy to make that admission BTW.) But being in the disaster business, and working for the Red Cross in particular, it’s not that cut and dry — to the point where I’m actually asking myself, what should my rooting interest be? I have nothing against the Broncos. I really like Peyton Manning and I like seeing him succeed. Colorado is beautiful. I don’t get to visit it to go skiing nearly enough. I also have some wonderful Red Cross colleagues in Colorado. But this is the Eagles and if they have any hope of making the playoffs, they need to pull off an upset. So here’s my quandary. Anyone who has been keeping up with the news, knows Denver and the state of Colorado have been through a lot this summer (and the last year for that matter.) (KUSA-TV story via USA Today). The past few weeks I’ve seen incredible footage of homes being wiped away by flooding, all on the heels of terrible wildfires the past two summers. I’ve read and heard the stories of families who lost their homes to wildfires last summer, just to see them get washed away by flooding this summer. My colleagues in Colorado have friends and neighbors who were directly affected. My heart breaks for the thousands of people who must start over. Now I realize a football game won’t fix any of that. I realize that it is, in fact, just a game. But history has shown us that sports can play a big role in healing cities and communities affected by tragedy. Think of the impact sports had on New York City (and the country) after 9/11. Who wasn’t pulling for the Yankees in that World Series? Just a few short years after Katrina, no one could deny the positive impact the Saints winning the Super Bowl had on the city’s psyche and economy. After Sandy, the Giants helped NY and NJ mentally recover, at least for a few hours every week. Everyone was a Red Sox and Bruins fan in the weeks following the Boston Marathon bombing. Rooting against those teams was almost sacrilege. Which brings me back to this Sunday’s Eagles game against the Broncos. If the Eagles were playing the Cowboys, I admit, it may be a different story. I don’t think I could ever bring myself to root for the Cowboys, no matter the circumstance. That’s just a fact of life of someone from Philadelphia. But Denver is a different story. So what should I do? Let my lifelong love of the Eagles trump my genuine wish for the Broncos, in a small way, help the people of Denver feel better? Or toss my lifelong loyalty aside, this once, and root for a Broncos victory? Ultimately, I turned to my Red Cross colleagues in Colorado for the answer. 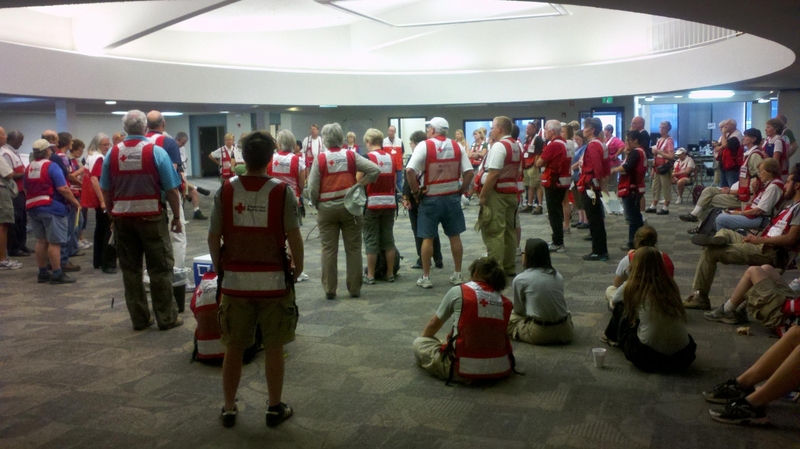 I saw through their tweets, photos, videos, and stories that demonstrated very clearly that the people of Colorado “got this.” With the help of agencies like the Red Cross and their fellow citizens, Coloradans are showing an unbelievable and inspiring resilience. Their ability to absorb what has happened and vow to overcome it, with no complaint, is remarkable. Just like folks in New York, New Orleans, and Boston, Coloradans showed me that they don’t need me to root for their football team in order to feel loved and supported. Adversity brings out the best in us. It brings out our selflessness. It brings out our love. It brings out our humanity. Those qualities make us winners and Colorado has plenty of all of them. Arrived in Oklahoma and redirected to Tulsa. 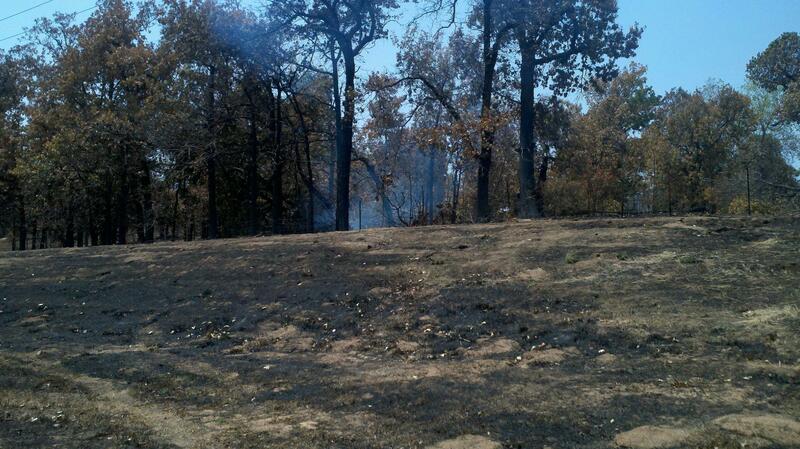 Along the interstate there were long stretches of burned areas. 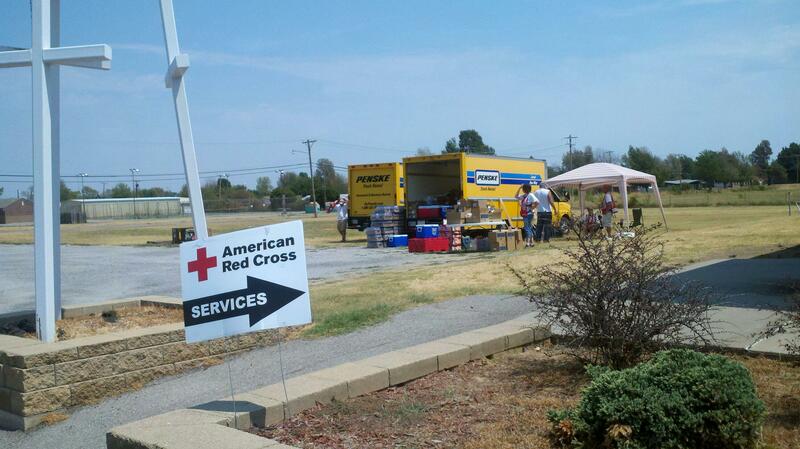 I was assigned to a work site in Creek County where American Red Cross (ARC) services are being delivered. There are strong community liaisons like Colorado spring, the Baptist church and the medical corp. Temperatures are in the 100s, but there is little humidity. There are strong winds and no chance of rain until Sunday. Disaster Relief (DR) is very small. I have been assigned to Mannford and services are concentrated there. Like Colorado Springs, the local chapter, county and state agencies are working together. Services begin at twelve noon, but I am meeting with client case management to coordinate mental health services in an outreach effort. I will know more after that meeting. 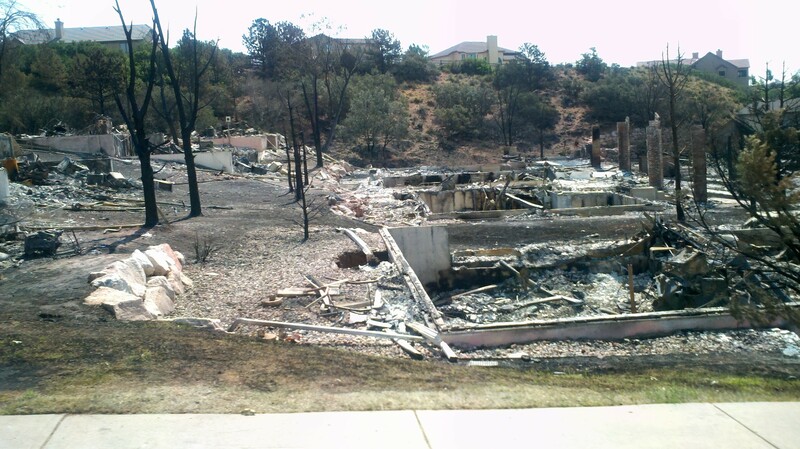 I still have not seen the damaged areas since these fires were scattered over a large area. I met a gentleman last night who lost everything. All services in Creek County are located in a service center. Four other mental health workers and myself are working with client case management as people arrive. We serviced over 80 families today. 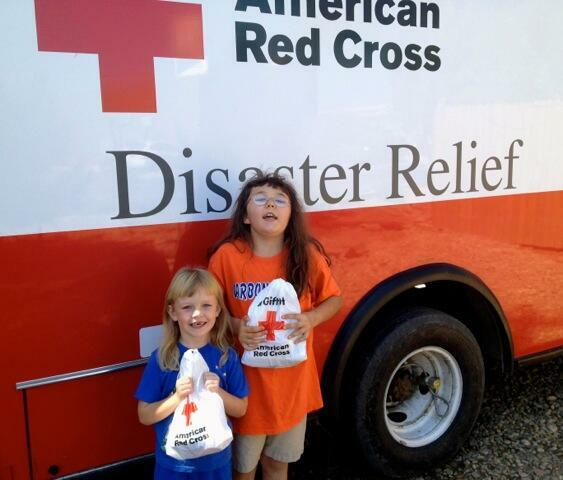 Families are receiving funds from the Red Cross. The staff at ARC are overwhelmed with the number of people seeking assistance. In the last four days over 300 901s have been written. Many animals /pets have been injured, missing and lost in the fire. A local group called the Alliance for Animals is providing free medical services. The front of the center has posters for missing pets. The four mental health workers are working hand in hand with client management. It has been difficult to assess since large tracts of land were affected. The fires were finally contracted on Tuesday. Families were allowed to return to their properties late on Tuesday. Emotions are very raw since FEMA has yet to arrive. 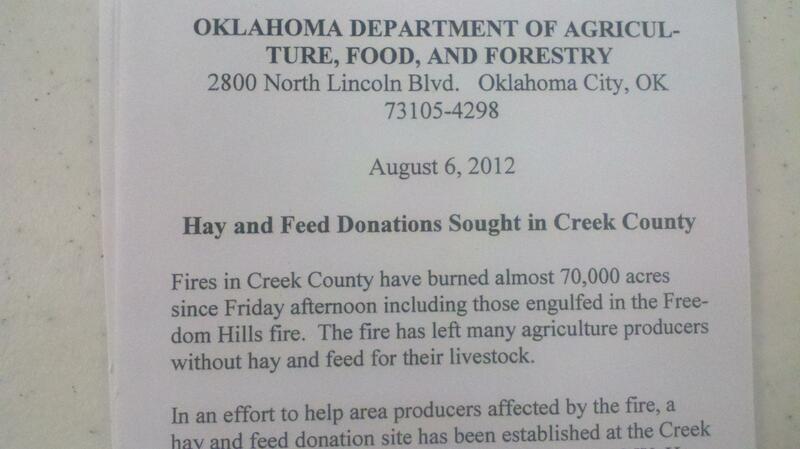 A farmer came into the center and reported that his entire farm of 1,000 acres has been burned and he needs assistance with his livestock. People reported having only minutes to leave their homes. 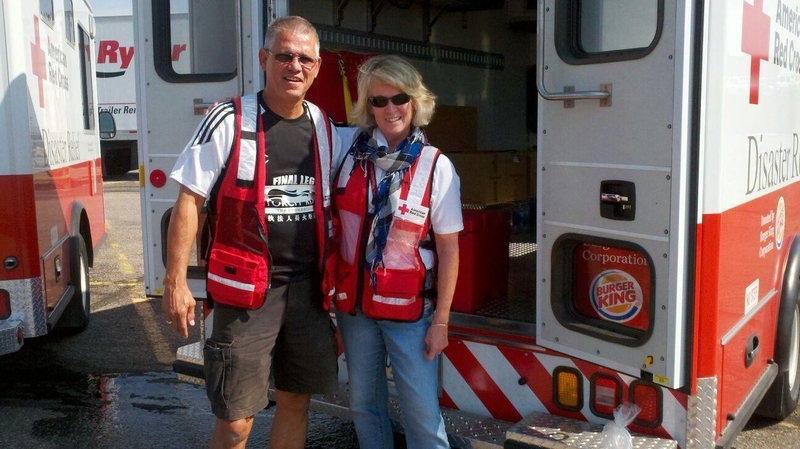 Danelle Stoppel, a Red Cross volunteer with the SEPA chapter is very experienced with the transition from volunteering at the local level to the national level and understands the ongoing problems that come with traveling through areas devastated by fire. This post was compiled from a series of text messages sent by Danelle. Things are moving quickly from local to national. Fire conditions continue with frequent small fires. Last night, there was a large meeting at a local college where 345 families were told their houses were destroyed. Tomorrow families will be bused to their homes, but they cannot get out since fires are still burning. Disaster recovery centers will open. I have staffed four shelters and am coordinating local efforts as they interface with national. FEMA has arrived, but families cannot see their houses until Sunday now. Mental health is now ten strong and includes local chapter members. I am working with wonderful mental health people from across the country. I will be housed at headquarters now and have been invited to participate in the strategic plan for this site. I am working with old friends from deployments in Alabama and Pennsylvania and making new connections everyday. There is lots of national exposure for mental health due to massive loss. Headquarters is opening away from chapter tomorrow and client case management is starting. Today, the Colorado Springs recovery center opened and the American Red Cross provided services in the form of medical, client case management and mental health services. Many people have lost their homes and their jobs. One man told me he lost his job when a horse stable burned. He lived in the canyon and never owned a car. He needs money for transportation to find a new job. Many renters have lost everything. Five shelters are still open but evacuees return home tomorrow and do not know what they will find. The threat of fire continues due to high temperatures and winds and many bears have moved closer to resort towns to escape the fire. The tap water smells like smoke. The Salvation Army is providing all food for the shelters. The ERVs arrived today; client case managers and nurses are now relieving local American Red Cross nurses. I currently supervise 11 mental health personnel and our role will increase to client work and other areas when we are asked to become involved. Volunteers are working 13 hours a day and we eat dinner together each night. I miss everyone at our Southeastern, PA chapter, but I am proud to represent the Philadelphia area. Danelle’s texts only give a tiny glimpse into what happens during a major Red Cross relief operation. She and hundreds of other volunteers (including two from SEPA) were called in by our national headquarters to assist local Red Cross volunteers. Danelle’s deployment could last up to 21 days. SEPA chapter trained Danelle to handle the work she is doing. We are proud of how capable and dedicated our volunteers are. 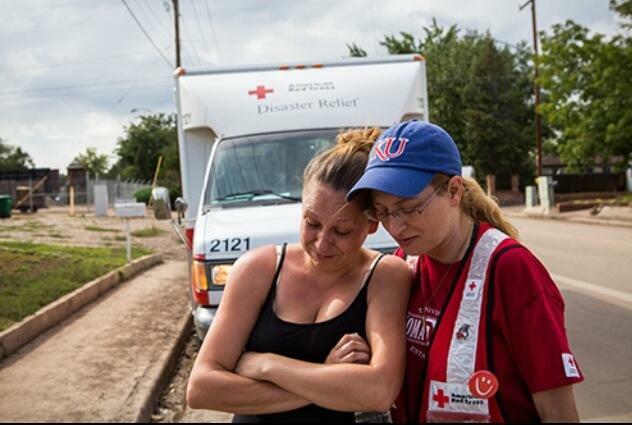 They make it possible for the Red Cross to do what it does.